My campaign announced the public support of major figures in craft beer this week. San Diego’s craft beer industry represents over $850 Million in annual economic impact and is responsible for thousands of jobs in our region. Endorsements from this community range from Peter Zien, the owner of AleSmith, a brewery rated number one in the world several times, to Greg Koch of Stone Brewing Co. and many others who have shaped our county’s reputation for excellence in craft beer. For me, receiving support from this community is about much more than the product, it is about what these people stand for and what the community represents. 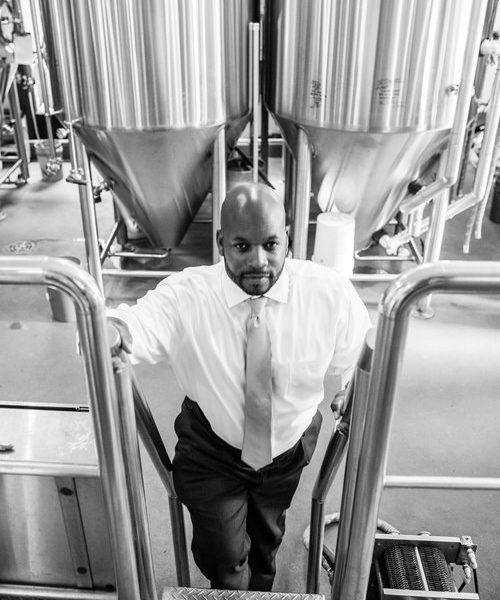 Peter Zien, for example, employs a diverse staff that includes an African-American man who runs the entire warehouse – among the most important jobs in the brewery – and a number of staff who have resettled from Sudan. Douglas Constantiner of Societe Brewing Company, another public supporter, fights to make sure the minimum wage of his hourly employees is upwards of $16/hour. That’s a livable wage in San Diego for a job that does not require an advanced degree. Craft breweries and the restaurants that feature their products tend to be civic-minded, to share my ethos about protecting our planet and supporting their employees. They prove that being both progressive and business-minded are not only possible but desirable, and achieve great outcomes for the business, the employees and the communities in which they live. I am proud to have the support of so many people in craft beer who take their roles as community stewards seriously and value their employees in ways that enable them to earn a decent wage for the work they perform. What does a housing plan have to do with the environment? The answer is basically everything. It is worth adding that you can’t develop a comprehensive approach to housing without factoring in transportation and jobs. However, there is so much involved in each of these three elements that most people can’t really be expected to digest all three elements at the same time. Our campaign will release plans for regional transportation and economic development and then help you as a voter see how we plan to integrate all three concepts in a way that puts children first and supports our seniors in innovative ways. How does your plan protect San Diego’s environment? Focusing growth. The County has a General Plan for growth and we believe with tweaks to the housing rules we can focus our growth to minimize environmental impacts to open spaces and our natural environment. Build where we have resources. The San Diego County Water Authority has identified areas that receive water service. By focusing building in those areas we protect the back country and wilderness for our children and generations to come. Put services closer to needs. We encourage changing rules to allow certain land uses like malls to be innovatively re-imagined as intergenerational centers, quality child care facilities, health care nodes, and other high-need uses that are placed close to homes so that we burn less gasoline. Encourage open space protection. Being smart about growth and protecting our watersheds will improve the natural filtration of our waterways while preserving San Diego’s beauty. It is true that to reduce our greenhouse gas emissions and address climate change, the County of San Diego’s Climate Action Plan focuses primarily on changing our energy sources. But to fully protect our environment, we can’t leave anything on the table – including making sure we protect the back country from development. Our Housing4All plan rejects the notion that responsible building must come at the expense of natural beauty and preservation. Community, the building industry and environmental advocates came together to develop a General Plan for growth and our plan respects that work while tackling the biggest crisis we face – housing affordability. We must lead on environmental protection while meaningfully addressing our housing affordability crisis. This plan strikes that balance. Our Housing4All plan has four core principles. Enhance quality of life, improve reliability in rules, decrease overall cost, and protection of our natural beauty. To view or share a 30-second video about these pillars, click here. These are the principles of our Housing4All plan and what we need for all San Diegans.